In a city like Florence as jam-packed with cultural heritage as it is, it can be hard to choose between the myriad of activities that beckon to its Renaissance history. Most everything in the historical center is within walking distance, a true gem for travelers here only for a short while, though I have a feeling they haven’t done what I’m about to share with you all today. 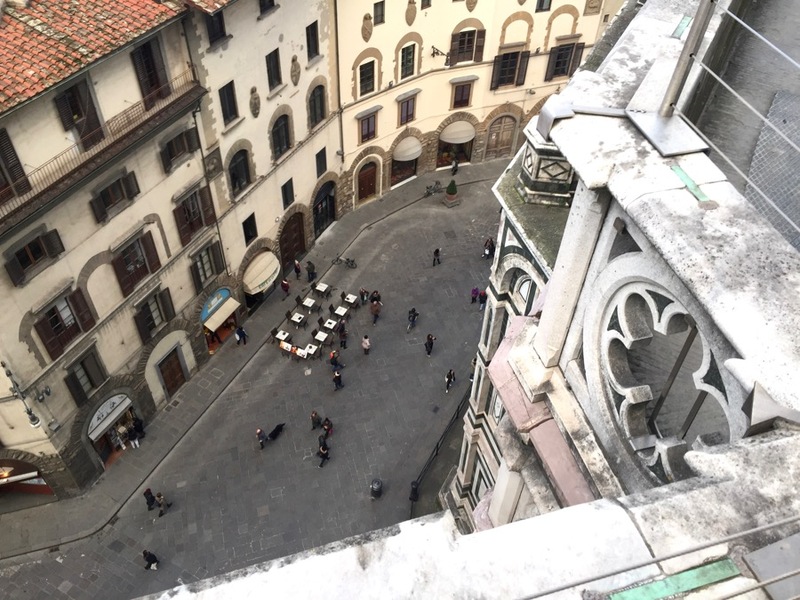 Instead of buying the general ticket to visit the Duomo museums on my own, I joined the small group VIP Duomo tour with a visit to the secret terraces with CiaoFlorence. 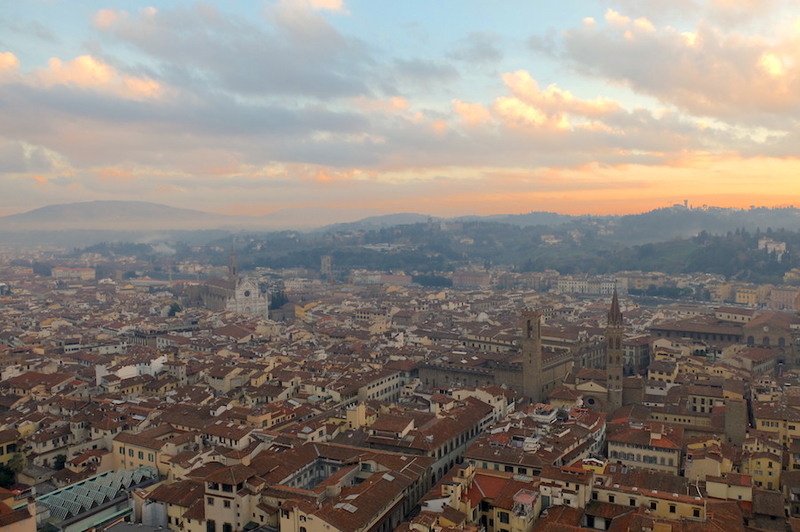 This tour provides a historical background of Santa Maria del Fiore (our lady of the flower) with a guided visit coupled with exclusive access to the terraces of the Duomo. Keep in mind these terraces are only open by private appointment. 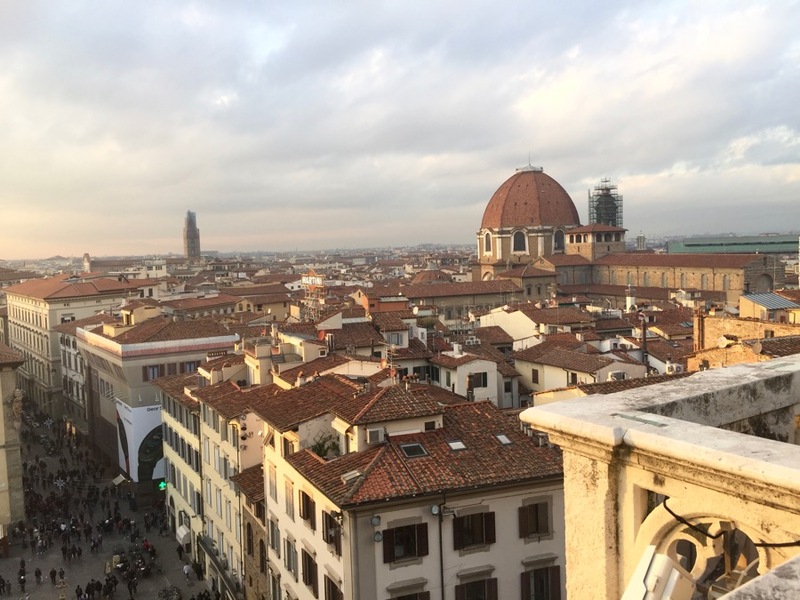 This means that you can admire Florence from a 32-meter high ancient terrace that offers bird-eye viewpoints you likely have never seen. Visiting the secret terraces make booking the tour worth it alone. 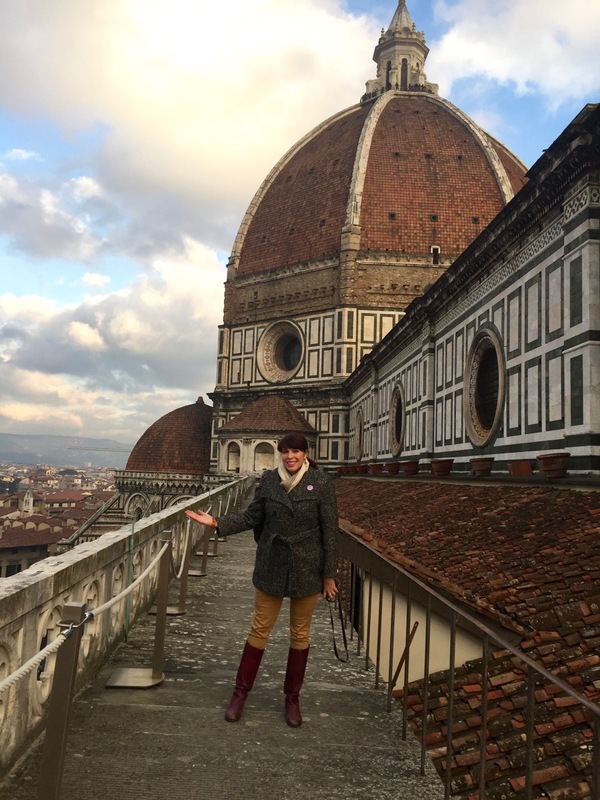 You have to think about where Florence was in history when this grand project to build the cathedral was undertaken. During the 13th century, it was a rich city thanks to the local guilds and it was looking to show off. At the time the wool guild was new and ready to show off its prowess. This is why the government at the time entrusted them with the undertaking of creating this cathedral. Immense in its size and fortitude, it was started in 1296 by Arnolfo di Cambio but in total the cathedral took over a hundred and forty years to finish. The date of consecration was March, 1436. Arnolfo wasn’t one to do things as they’ve always been done, in fact typically the choir is built first due to the fact that these churches were known to take hundreds of years to build thus they needed to show Florentines what they were paying for immediately. Instead he wanted to start from the outside in, his background was sculpting and he created many important statues for the doors. 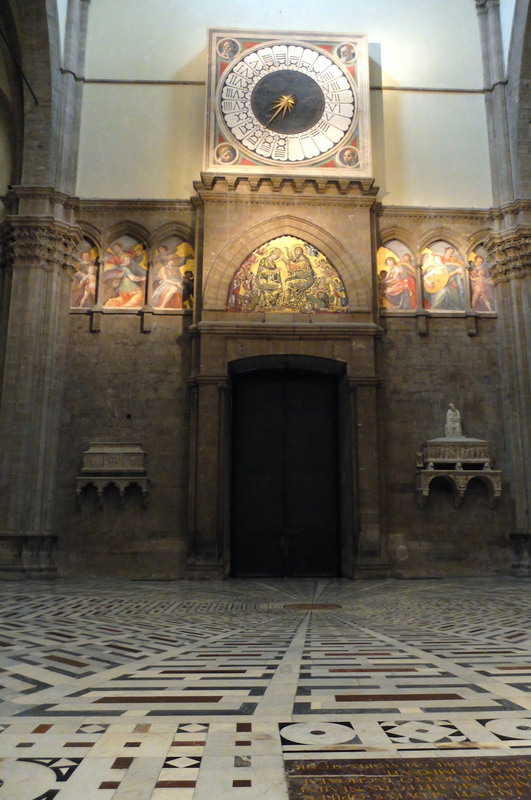 If you look at the main door from the inside of the Duomo, you see a medieval fresco that was one of the first features. It is said that the workers would celebrate with Chianti wine and oranges for breakfast at the completion of each bay! Once inside you’ll notice that everything represents an important meaning. The clock designed by Paolo Uccello was no different, which worked together with the bell tower to give locals the hour of the day. It was run a 24-hour system and at sunset it brought about the closure of the city’s gates, an important civil aspect of the time. If you are wondering why it wasn’t addressed earlier or why Arnolfo would leave a hole in the cathedral, for me it feels like he always knew that someone would one day arrive and fix this problem even if it wasn't him. The façade as we know it today wasn’t completed until the 19th century. 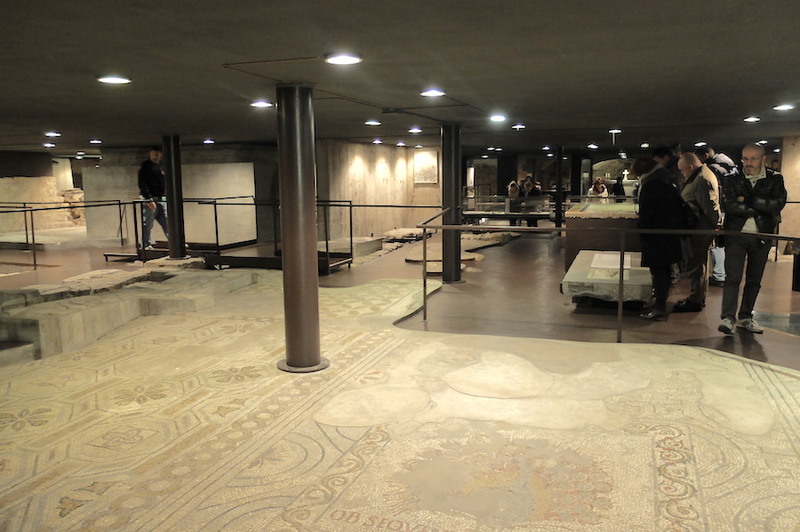 To visit properly, you also need to pay a visit to the crypt, where you can see remains of the the 7th century church of Santa Reparata. I was very surprised to learn that it was only discovered in 1966 as a result of the great flood in Florence. Here you can explore some of the city’s ancient roots and gaze over the impressive tombs and mosaics dating anywhere from the 5th to the 9th centuries. Our guide pointed out many details that me as a solo visitor would have surely missed. Point in case, inscriptions in the floor can be seen here with the names who made donations to the church, naturally this was before you could “facebook tag” collaborators so in this way, they were immortalized for life. Heading up to the terraces, you have to climb up a windy, steep staircase which makes for an interesting walk, the final destination a room of preserved statues. Here Maria pulled out a humungous skeleton key that is characteristic for ancient buildings in Italy. Sure enough, the key fit and in seconds we were outside, letting the cold winter air swirl around us as we had the largest terraces I’ve ever seen under our feet. The panorama from here in indescribable, but I’ll give it a shot. Essentially you get bird’s eye view of the Duomo’s outside green and pink architecture, and a unique angle of the streets below. It did nothing short of take my breath away as both Maria and I watched the tiny people from above moving quickly across piazza Duomo. When it comes to unique activities that showcase our Santa Maria del Fiore in the most just of circumstance, I can’t think of a better way than a private tour stretching from the Roman ruins that lie beneath to the terraces overlooking the piazza below, open only to private groups. The thing is, most people opt for climbing the cupola, which itself is a great experience but claustrophobic and crowded for many. This is a great alternative option. In this particular tour, you get a chance to see a side to the Duomo most miss without having to walk the entire way up. 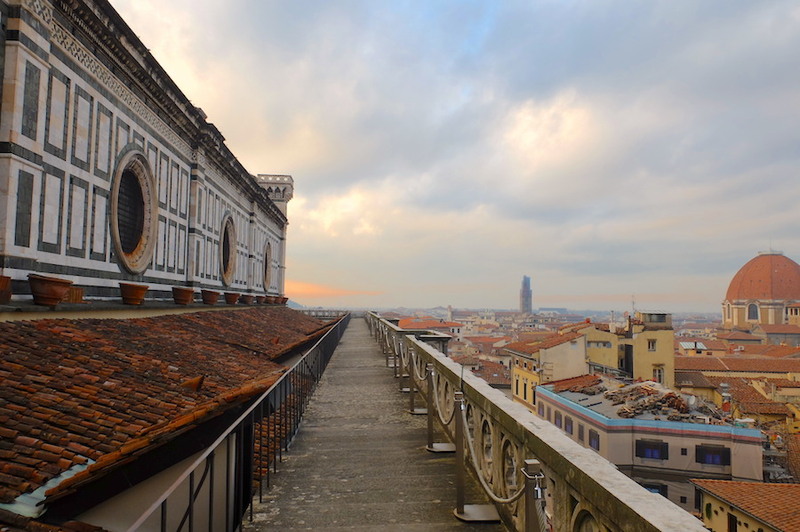 Or you can choose, as I did during the visit, to climb the cupola after on your own (included in the ticket). The best part is the ticket duration lasts 48 hours, which means you can visit the bapistry, Giotto’s tower, even the museum without rushing the next day, though it’s one entry per monument. Info about the VIP Terrace Tour: The tour is every day at 2:30pm, and lasts a duration of two hours. The cost is 55€ per person. Included is a professional and licensed guide who will provide a guided tour. The group size varies by season and is up to 20 people. For example, on my tour, I was alone since it was a cold day in January, what luck! It also includes a super saver Duomo complex ticket (valid for 48 hours - avoid the queues! ): The Great Museum of the Duomo, Cathedral, Crypt, Baptistery, Giotto's Bell Tower and Brunelleschi's Dome. Book here. Additional tips: As you are entering an Italian church, make sure you dress appropriately and cover your shoulders, my advice, wear pants and make sure your camera is fully charged and your smartphone. Expect to take a TON of photos. I would also opt for comfortable shoes as there are a number of stairs to climb (153 in total). Bring a little extra cash for a tip if you paid in advance.